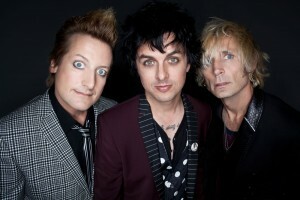 Green Day recently announced that they would be releasing a documentary entitled ¡Quatro! about the making of their most recent trilogy, ¡Uno!, ¡Dos! and ¡Tre!. A clip of the documentary has surfaced showing Billy Jo Armstrong surfing as well as the band playing live. “I think sometimes taking time off feels dangerous to me because I just like playing music, it’s just what I like to do. I’m addicted to it. And what I’ve noticed what happens to bands that ‘take time off’ — they’re not as good when they come back,” Armstrong mentions in the clip below.